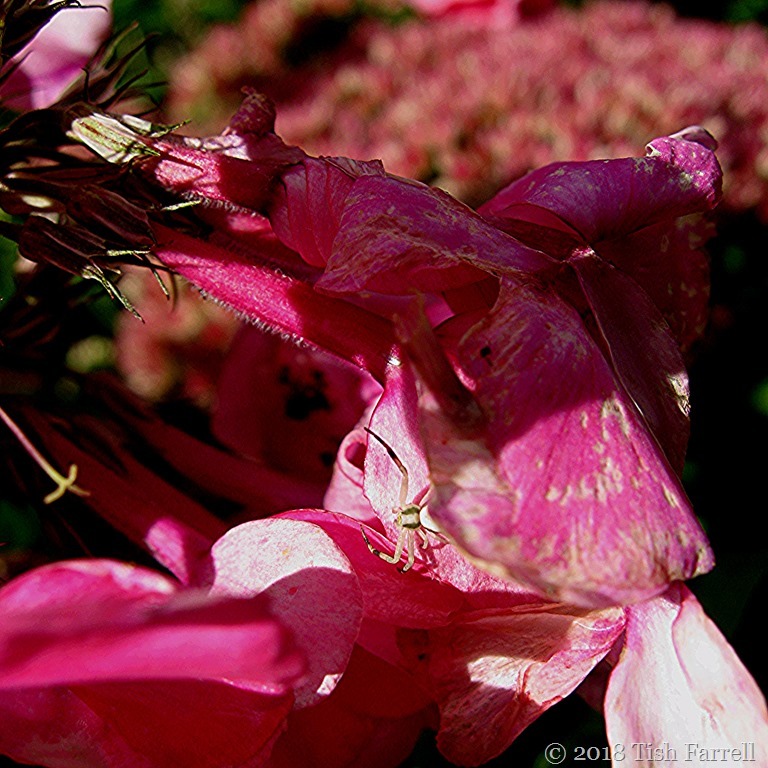 Posted on September 24, 2018 September 24, 2018 by Tish Farrell	This entry was posted in entomology, Environment and tagged #InthePink, crab spider, gardening, Tish Farrell Writer. Bookmark the permalink. Ha! I’ll watch for that! Ah, so that is what it is. I saw one in my Jasmine when I was cutting it back. No camera though. Usually the way with spiders – no camera! And by the time you’ve gone inside for one, they disappear! It does seem to be the season for spiders. they are every where. Lovely sharp shots There Tish. The crab spiders certainly know a pretty place to hang out. How many water butts do you have? Cool photo and I’m also glad it’s tiny!